It's been a while since I have posted a project, so I thought I would pop in & share something I made today. I was admiring my daughter's doona cover while it was drying on the line & thought....hmm this looks a lot like the Cool Treats stamp set! I went inside, pulled out my stamps & coordinating framelits & whipped up this quick card in no time. 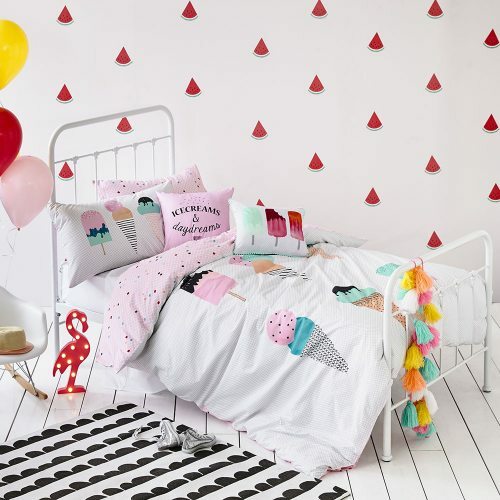 Here is the doona cover by Adairs. I don't think they sell it anymore, but we really love the fun prints in their kids linen. 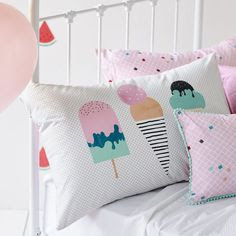 This doona cover is perfect for my daughter as she loves the soft colours & of course, she loves ice cream! Here is my card - I tried to make it like the pillow case. As you can see, inspiration can come from anywhere & I love to be inspired by things around me. Where do you find inspiration for your projects? Would you like your own bundle of Cool Treats stamps & framelits? 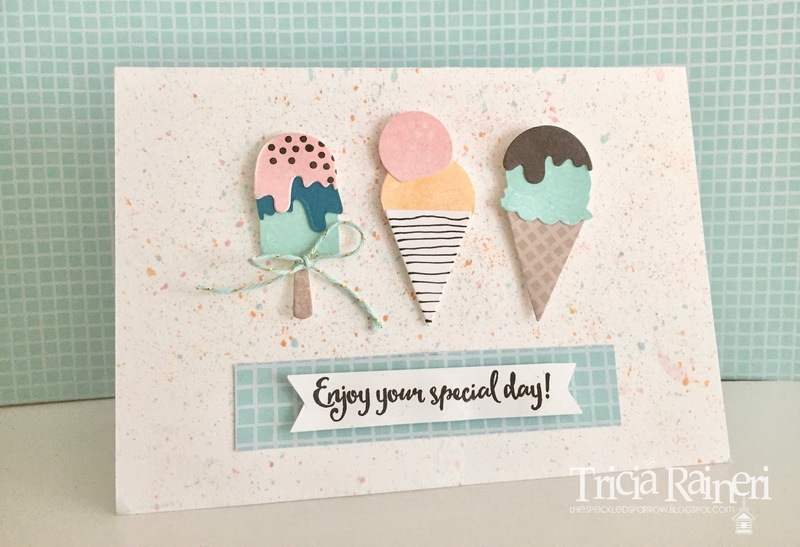 They are in the Occasions Catalogue on page 33 & you could earn a FREE Sale - A- Bration item simply by purchasing this bundle & the matching DSP or Washi tape!